Numeration units (ones, tens, hundreds, etc.) are an epistemological foundation for place value. Here, we assume that they are a didactic support in countries where spoken numbers are incongruent with written numbers. In France, teaching practices neglect the relations between units, and numeration units are typically used only to designate the positions of digits. Our research, which adopts the didactical engineering framework, aims to develop a set of reference tasks for grades 1–5 to support a consistent learning of place value with numeration units. 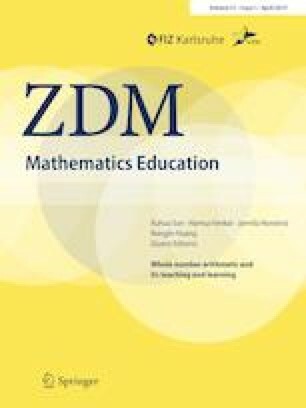 This article reports the theoretical framework on which our research is based, and illustrates it with some examples of tasks designed for grade 3 students and implemented in classrooms.